There are situations that you may have to crop a video by getting rid of the exceed areas. Taking an example, when you record a screen activity on your computer' screen, the edges include needless portions. Or you have to remove black bars that are shown on the top and bottom of your video. Perhaps, you would like to match the large dimension of your video to the small display screen. Anyway, all possible cases need a dedicated video cropper. If you just happen to be in this situation, this will be the right place for you. Look no further; the following guide on how to crop a video is what you want. 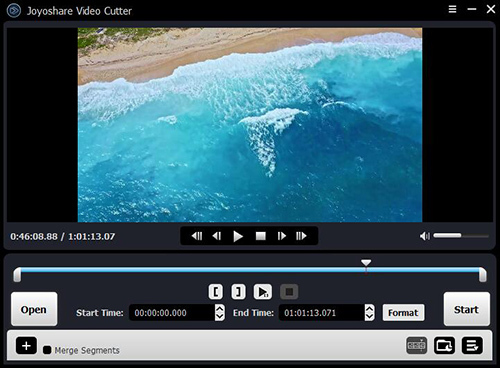 Joyoshare Media Cutter is a powerful video editor that assists you to cut, trim, crop, rotate and merge your video files in a professional manner. Other than these basic functions, it also enables you to add sound & video effect, create a watermark for output file, insert key subtitles and adjust some parameters, like brightness, saturation, hue, contrast, aspect ratio, etc. based on your own preferences and needs. Namely, it is a typically comprehensive program that is well developed for deal with all your media files, including videos and audios. Alternatively, a wide range of video formats can be supported by this full-featured tool, such as MP4, M4V, MKV, MOV, WMV, AVI, 3GP, DV, HEVC MKV, ASF, OGV, ASF, FLV, TS, DivX, etc. It can facilitate you to transfer video to iPhone, Android, Xbox 360, PSP, Sony TV, iPad, etc. Vitally, under the encoding mode, you can make customized video straightly, changing the codec, resolution, frame rate, bit rate, channel, etc. to gratify yourself. 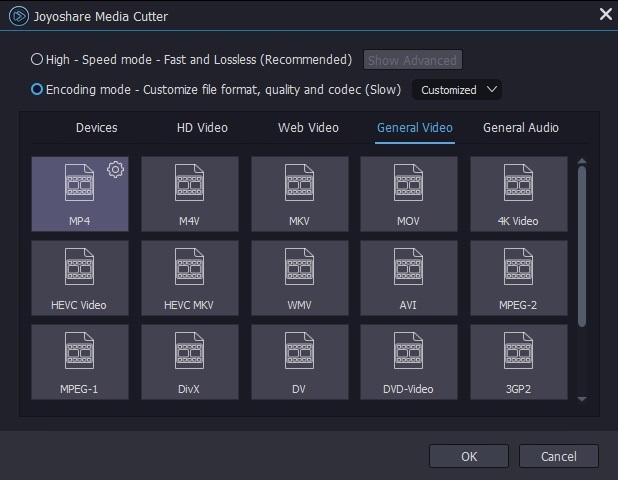 An indispensable step is to download and install Joyoshare Media Cutter on your PC. Double click the icon on your desktop screen to run it. Hit the "Open" button to search a video from your computer's hard drive. Or you can directly drag and drop the selected one into the main interface. Note: Each time you can only add one video file to crop. When it is completely loaded, Joyoshare Media Cutter will auto-play it for you. Next you can press "Show segment list" icon at the lower right corner to display all your video. Hereafter, click the edit button to bring up all hidden editing tools. From the top menu list, you can enter "Adjust" section. 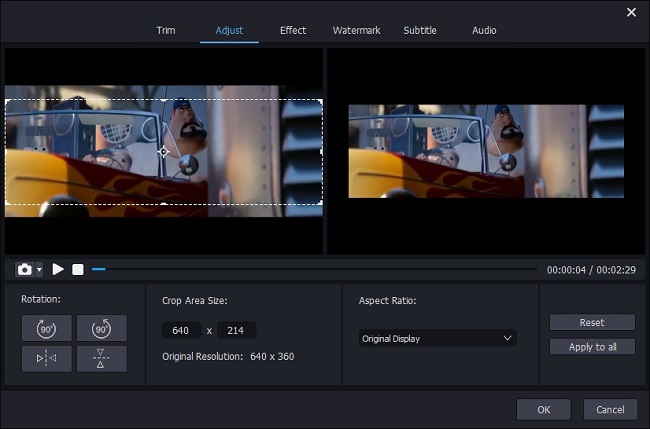 Now you can crop video length, width, edges, etc. to strip unnecessary area. You can enter the precise length and width value to the corresponding frames. Certainly, manually moving the cropping window by zooming in or zooming out is also appreciated. A good thing is that the handy preview window can show you output effect in advance so that you can adjust it until you satisfy it. Note: Guarantee that the aspect ratio of the cropped video keeps the same with that of the selected output format. Besides, before you output the cropped video, you'd better preview it firstly. The last step to crop video file is to choose the output format and save it on your local folder. Close your editing window and click the "Format" panel to select "Encoding" mode. Then you can decide which format to use. On the right top of the selected format, you can go to change the bit rate, frame rate, codec, sample rate, etc. in your own way. 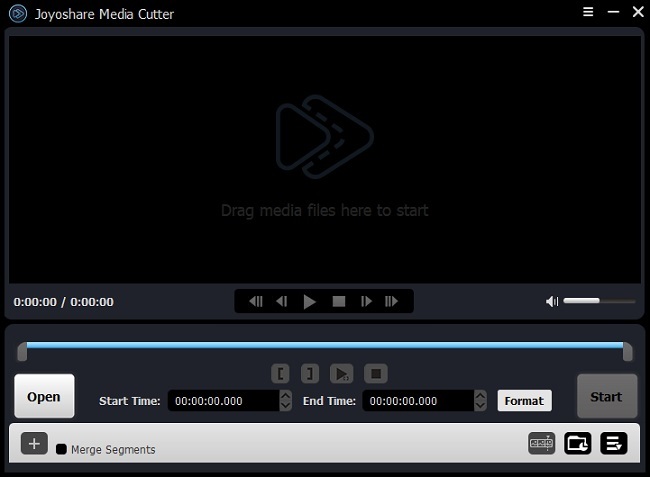 Afterwards, you can simply hit the "Start" button to get Joyoshare Media Cutter worked. Crop and Trim Video? Look Here!